A lot of Christians don't celebrate Halloween, and I respect their decision, but I, personally, LOVE Halloween. It's one of my absolute favorite holidays (besides Christmas, which obviously comes first because it's just so amazing). I mean, you get free candy and people don't look at you weird for putting on a costume. I could do a whole post about how weird the idea of Halloween is - I mean, all it is is that you aren't technically trespassing on someone's lawn when you go up to their door and bang on it, begging for sweets while dressed like some sort of fictional character that may or may not be human. It's awesome, especially for a kid - although, I don't think I'll ever grow out of it, even when I'm not a kid anymore. However, when we moved to Thailand, all celebrations and trick-or-treating for us ended, and I was kind of upset. Mom and Dad still buy us candy, and I believe it was last year that we "dressed up" and went to the kitchen door, knocked on it, and Mom played the part of the surprised and happy Halloween host. She gave us each a baggy of candy, and then we went and watched It's the Great Pumpkin, Charlie Brown. Mom and Dad try to make it fun for us, and honestly they do a really great job, but that doesn't change the fact that we are celebrating very differently than we're used to, and we don't tend to advertise that we're celebrating at all. So . . . why not? 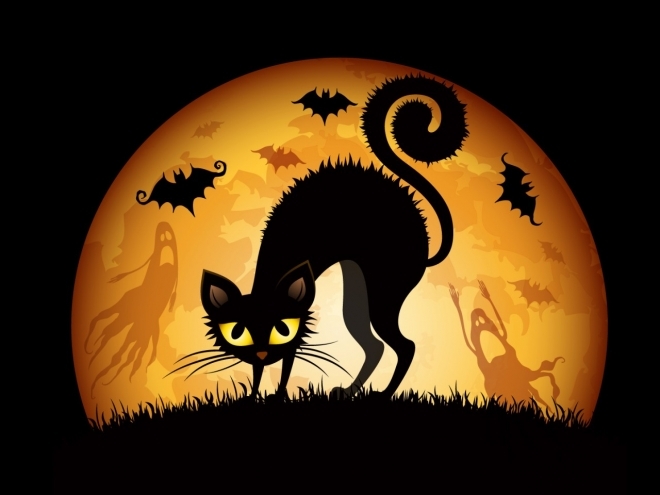 Why don't we celebrate Halloween - it's not like we actually are trying to ward off or please spirits, we're just dressing up in fun outfits (which my Mom never allowed to be anything like a demon, zombie, etc. because of our faith) and getting free candy! What's the problem with that? Well, in Thailand, they don't necessarily all know that. They don't necessarily know that Halloween is just fun and games. The Thai people believe in spirits that play a part in their everyday lives, and so for us to dress up - whether like a demon or spirit or not - would be entirely disrespectful to them. The Thai people are amazing and our family has grown to love them, so we are trying our best not to offend them. After all, it might look like we're directly making fun of their beliefs and culture were we to celebrate the way we do in the States. If we were in our own country, it wouldn't matter as much. 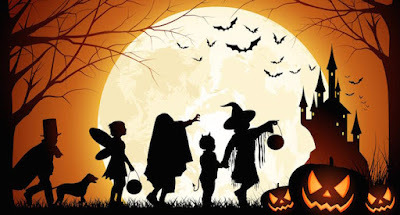 Americans, having celebrated Halloween and seen it transform from the stuff to do with actual spirits to just plain having fun and interacting with neighbors, know what it means when a bunch of little kids and teens and even adults dress up and come to your door asking for candy. But here, in Thailand, even though there are some international schools that host their own Halloween celebrations, we won't be trick-or-treating and we won't be dressing up. That doesn't mean that the year we go back I won't dress up in a costume and beg for candy, though. I mean, so what if I'll be around seventeen? Candy's for all ages . . .
What are your thoughts on why we won't be celebrating Halloween? Do you celebrate Halloween? If not, what is your reasoning and what are your thoughts on the matter? If you do, what's your favorite Halloween tradition or memory? Tell me in the comments below, or on my Facebook page Julia Witmer, Author!